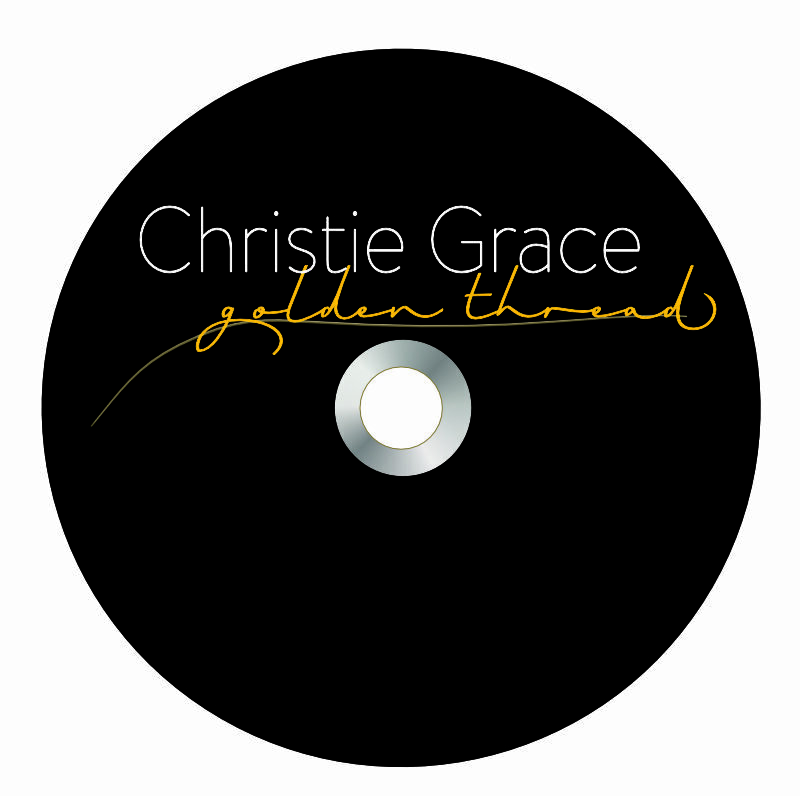 This is a 6 panel digipak for the album “Golden Thread” by Christie Grace. The cover image is on the bottom right, the back image is bottom centre, and the image under the disc is top centre. Once the digipak is assembled there’s a sleeve for an additional booklet if desired. 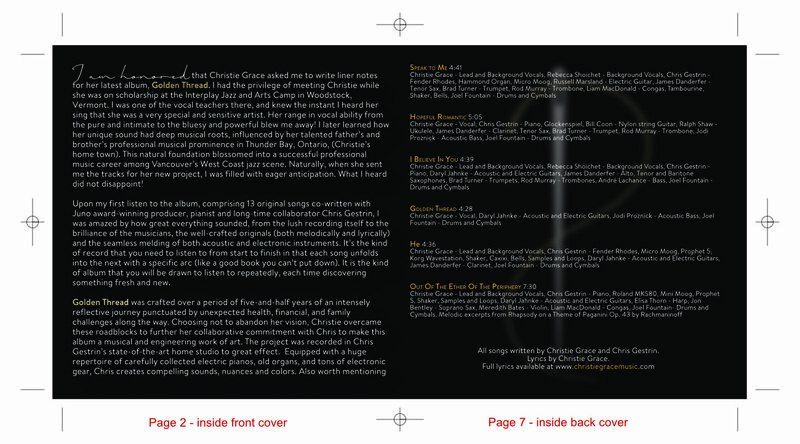 In this instance we have an 8 page booklet with lyrics and other info. 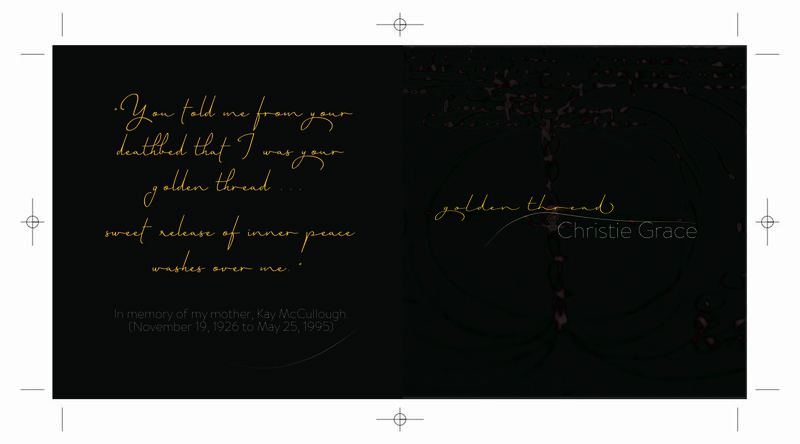 Here are 4 of the 8 pages, giving you a good idea of how the booklet looks. 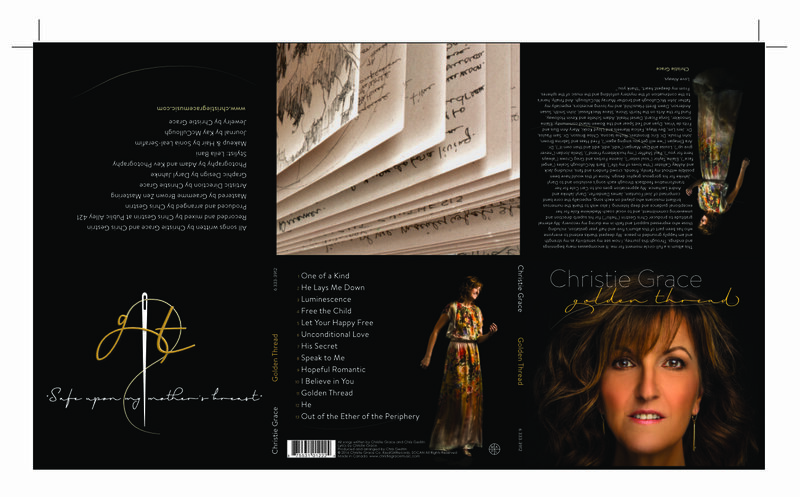 With all the text and density of the 6 panel digipak and the 8 page booklet the disc image is intended to be relief through simplicity.